I switched to Apple products after years of cursing Windows and Android-based systems, spending $3000 on two Macbook Pros and an iPhone 5c within the last year. What a mistake! My Macbook crashed on me after less than 6 months, taking me 8-10 hours to read forums, reinstalling the OS, and recovering from a Time Machine backup. Next, my iPhone 5C froze while on vacation. After finding our way back to the hotel using non-technological resources (asking for directions and following signs), I spent much of the next two days on the phone with Apple support (Adranna) instead of relaxing on the beach or taking in the sights. Restoring the phone did not work, so Adrianna told me I needed to have the phone replaced when I got home. Long story short, she told me I could upgrade to a 5S due to the fact that I lost confidence in the 5C, but Apple refused to honor her promise, stating "policy prohibits a from exchanging to another model even when the customer offers to pay the difference", which I was. After talking to numerous employees, being called a liar, and expressing my disappointment about Apple's products and customer service with senior customer service reps, I have up and had the iPhone replaced. Over the past month, I have spent an additional 50-60 hours on the phone partitioning my Macbook's hard drive, backing up my data, wiping the hard drive clean, and reinstalling MacOS and transferring my data after the piece of junk locked-up again. I had to deal with chronic slowness and THE BLUE SCREEN OF DEATH on my PC, but NEVER HAD A COMPUTER CRASH in the decades of using non-Apple products! I hag expressed my dismay with each of the 10-15 Apple employees I have spoken to over the past few months and they only confirmed my concerns ... APPLE DOES NOT CARE ABOUT INDIVIDUAL CONSUMERS AND REFUSES TO DO ANYTHING OTHER THAN PLACATE ME. As an Apple investor (owner of $25,000 to $50,000 in Apple shares at any given time) and American consumer, I am appalled by the lack customer service and support I have experienced at the hands of another institution that terrorizes consumers with impunity. Needless to say, I will never spend another penny on Apple products. All consumers and shareholders should be warned and concerned. On a recent trip to Puerto Rico to film a travel video and review hotels, restaurants, and tourist attractions, my iPhone died mid-trip. Using my phone for navigation on an island well known for difficulty locating addresses, taking photos and filming video, uploading them along with check-ins, reviews, and tips on Yelp (where I am an "Elite '14 member), TripAdvisor (I am a "Senior Contributor"), Foursquare, and Facebook pages, and locating attractions, restaurants, parks, and beaches, our visit literally came to a standstill when my 3-month old iPhone 5c (unlocked for Family Mobile - $600) stopped responding. We were 50 miles from our hotel in San Germán when my nearly fully (80%) charged phone went dark. Having used Waze's navigation and social media app to get there, we were suddenly stranded in an unfamiliar area with no way to get back. 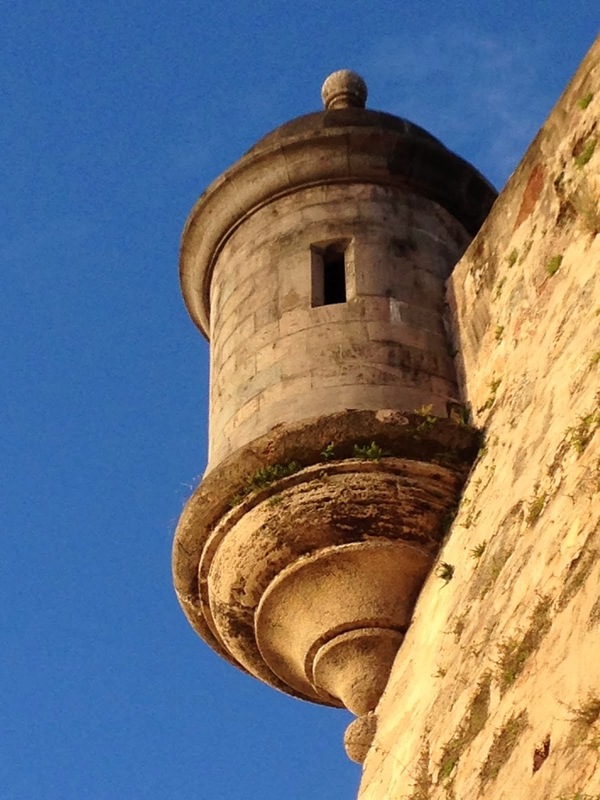 Unsure how to return to Rincón where we were staying, I called Apple iPhone customer service using my wife's phone. Over the next 30-40 minutes, I was told that there was no Apple Store in Puerto Rico and that I had to connect my phone to my computer (back in the room), connecting to iTunes to see if I could get the phone to work. We figured out how to get back to the hotel on our own and I plugged the iPhone in to my computer, but nothing happened. I then plugged the phone into the adapter and electric socket to charge it overnight and went to bed. When we awoke, the phone was back on, but it quickly went dark again and would not respond no matter how long I pushed the start button. It was time to call Apple again. The iPhone technical support representative's name was Adreana and she was very nice and helpful. She told me to hold down the "on/off button" and "back" button simultaneously for 10 seconds and low-and-behold ... the phone came on! Why did the rep I called from San Germán not tell me about this "hard start" feature, allowing us to possibly navigate our way back to Rincón using Waze instead of winging-it? I spent over an hour-and-a-half on the phone with Adreanna, finally having to reset the phone from a back-up I had fortunately made on my computer two days earlier. Because the reset was taking so long, she told me she would call me back before going home to see how it went and determine whether or not the problem was resolved. It was not. The phone had again gone dark shortly after resetting it. Adreanna told me that I would have to have the phone replaced, but because it was a Friday night and nothing could be done until Monday (???) I would have to wait until I got home to go to an Apple Store to get a new phone. "My phone is still shutting down, it has ruined my vacation, and my travel video I am producing. 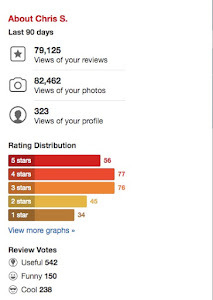 I am a food and travel critic, yelp Elite member, and TripAdvisor SENIOR CONTRIBUTOR and depend on my phone for photos, videos and to write reviews of places I am visiting. This is not just inconvenient, it has ruined my vacation and disrupted my livelihood. Arriving at the Apple Store for my appointment the following Wednesday, I was passed around like a volleyball from genius to genius, finally ending up with a guy named "Chad" (who looked like the actor who plays Spock in the new Star Trek movies, also a star of the hit series "Heroes"). Chad was not a good listener and the volume on a video they had playing for an in-store workshop was so loud we could barely hear ourselves think. Chad had me go through the entire very lengthy story again even though Adreanna and the other reps had made extensive notes in the case they had created about my problems. I told him that Adreanna would be calling any minute to explain everything, telling him she had told me I could probably upgrade to the 5s ... WHOAH ... HOLD IT RIGHT THERE PAL was the response I received as Chad quickly squashed that possibility by stating that "Apple only makes model for model exchanges, there's no way to upgrade according to Apple policy". I told Chad that Adreanna explained that it was possible and asked if he could check with a supervisor, which he did, only to return to tell me SORRY BUB! I asked him how it was that their employee, Adreanna, could tell me one thing only to drive 80 miles and wasting an entire afternoon to be told it was not possible? I would have had them ship a 5c to my house so it would be there when I returned if I had been told "it was not possible" in the first place, but he could obviously care less. He then asked me to tell him the whole story again, as if he were trying to catch me in a lie, but his only solution was to "call iPhone support, talk to Adreanna, and see if they would upgrade my phone to a 5c". I left the store a very unsatisfied customer to say the least! Extremely upset and distraught after getting the runaround from a company I had heard so many wonderful things about and wasting so much time trying get help I deserved, I waited until the next day to calm down before I called Adreanna. At 12:50pm on the nose, the phone rang and it was her, having noted the wrong date in her calendar even though she had made the appointment. I told Adreanna what had occurred at the Apple Store and she told me "I will inform my supervisor, we will call the store and get this fixed, and I will call you back soon and let you know what happens". I waited ... and waited ... and waited, but Adreanna did not call. Odd! I waited a few days, thinking that it was more complex than I had realized and believing that Adreanna surely would not just blow me off, Apple would not do that to a customer who had spent $3,000 over the past six months on their products ... OR WOULD THEY? The following week I called Apple again, having to explain the whole situation again, but got the same answers ... "Adreanna? We have no idea who she is and she never should have told you those things. You cannot upgrade to a 5s, simple as that!" I asked to speak to a supervisor to find out why I had been told I could upgrade, why I had wasted so much of my time on the phone and driving back and forth to the store if it were in-fact impossible ... "Don't you care about integrity? Don't you care about customer service?" I asked. I was put on-hold for close to 30 minutes before a Customer Care Supervisor came on the phone and while telling out of one side of her mouth how concerned she was about my "customer satisfaction", insisted in a rather snotty tone of voice that I was "lying" out of the other. "Our reps would never tell you that you could upgrade, it's not our policy" she said. I said "so are you calling me a liar", to which she replied "I did not say that". No, she may not have said it in those words, but her comment left little to the imagination regarding her opinion of my character. 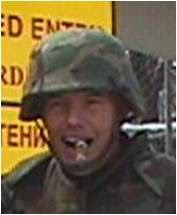 As a disabled-Veteran and retired Air Force officer, I take great pride in my character, my integrity, and my honor. When she questioned my integrity, the conversation was over as far as I was concerned. I was so upset that I told her "you win, I am done wasting my time on a company that has so little concern or respect for their customers as is the case with Apple". I went to the Apple Store in Colorado Springs to replace my 5c with a 5c "PER APPLE POLICY" in early February. After telling the young "genius" my story, for the 6th time at least, she brought the manager over to talk to me. He said "we'll make an exception to policy based on your experience and upgrade your 5C to a 5S. You'll have to return the new 5C, get a refund, and purchase a 5S for an extra $100." I asked him WHY HE COULD UPGRADE MY PHONE WHEN I HAD WASTED 30-40 HOURS AND DRIVEN OVER 100 MILES ONLY TO BE TOLD IT WAS "IMPOSSIBLE"? I thanked him for his kind offer, but by that time I was so fed-up with the way I had been treated, I told him "thanks, but no thanks … I will not give another penny of my hard earned money to Apple after the way I have been treated". I left the store with my new 5C. Now, my Macbook Pro 13" (mid-2012) is acting up again! I had to reset the computer from a backup about 4 months ago following instructions on the Apple Support site after it would not boot no matter what I tried. That seemed to solve the problem, but Safari would not work (along with a couple other programs), so while at the Colorado Springs Apple Store I asked them to taker a look at it. They ended up keeping it overnight to reinstall the operating system which I was told was "corrupt". Safari was working again, but the other programs still had issues. Two weeks ago when I could not boot the computer or get past the grey screen with the white Apple and the endlessly revolving wheel, not even in Safe Mode. Again, I tried to solve the problem using Apple Support instructions, but was unsuccessful, so I called their 800 number. The woman on the phone said I would have to partition my hard drive, which she helped me do, reinstall the operating system on the new partition, then follow the instructions after the computer restarted. I and a doctors appointment and could not stay on the phone, so she told me to call back if there were any problems. The computer started after reinstalling the OS on the new partition and I followed the instructions as she had told me. It appeared as though the computer was setting-up as if I had not used it before, which I assumed was because of the new partition (which was eating up much more of my 500 GB hard drive by the way). When it asked me to select a backup to restore from, the recent backups from the week before (when the computer had last been working) were nowhere to be found on my 4TB network drive where I had safely stored them for months. The only backups listed were from May 2013, shortly after I bought the computer, so I assumed it wa again an issue with the new partition. Once the backup was installed, I immediately went to Microsoft Outlook to check the emails I had not been able to view for nearly 6 days by then. When I checked my folders, all of the emails between May and now were gone … my work and personal email history was nowhere to be found, including those from three large lawsuits I am involved in, my father's funeral arrangements at Arlington National Cemetery in May, and documentation from our (very challenging) tenants in Kansas City (among many others)! 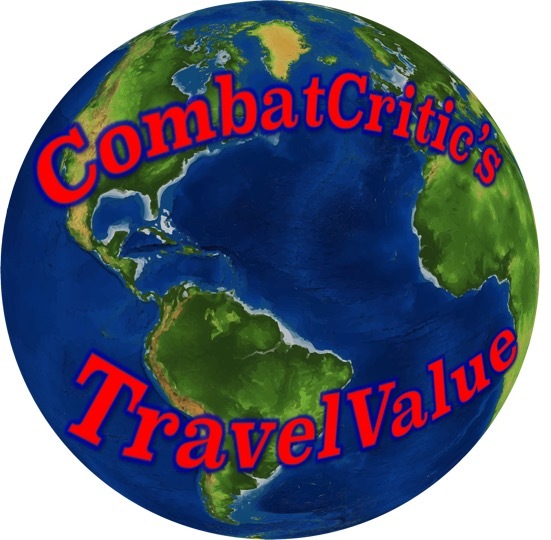 All of our photos disappeared and the video on Puerto Rico I had spent dozens of hours creating for my YouTube (CombatCritic's TravelValue) channel was gone! I called Apple again on March 12, 2014 to find out where my Outlook (.olm) file went as well as the backups from two weeks ago so I can get back to work, recover critical emails, and locate my Puerto Rico video that disappeared in iMovie during this process. I spoke with Andrew who helped me get permissions to the old partition of the hard-drive where the missing files supposedly reside. Because the process took so long, he had me call back later so that I could get some work done, promising to make "extensive notes" so I would not have to explain for the umpteenth time to an Apple Support Representative. Before I hung up, Andrew tried to sell me the "extended warranty" because my warranty was to expire in 61 days. I told Andrew that I have spent $3,000 on Apple products less than a year ago and WILL NOT SPEND ANOTHER PENNY ON PRODUCTS THAT SHOULD LAST MUCH LONGER THAN 12-36 MONTHS ... thanks, but no thanks! When I called back a few hours later to continue with the next step, backing-up both partitions of the hard-drive so we could then wipe the hard-drive clean and restore the computer from its original (out-of-the-box) state with the files and programs I need from the two partitions, Melissa #1 answered the phone. Even though Andrew had made "extensive notes", Melissa #1 acted as if she had nothing to go on and made me explain most everything. She was obviously clueless, making me wait on-hold while she asked her supervisors what to do next. I had to guide her through the process even though she is supposed to be "the expert". She finally decided that we should back-up the hard drive my 1TB external hard drive (Western Digital - My Passport), but because it would take several hours, I had to call back and go through the next step with another technician. I explained again how disappointed I am in Apple products, that I have wasted 40-50 hours of my time (between these problems and the debacle with my iPhone 5C in January and February), and that I am at wits-end. She placated me, as all other Apple employees have done, with words of sympathy, but zero action or follow-through. We made an appointment for 7:15pm to have a technician call me back to complete the next steps (clear the hard drive and reinstall from back-up). At 7:oopm, I checked the back-up to see if had finished, but it still had 22 hours to go! I then realized that Melissa #1's instructions were inadequate and the back-up was not being made to My Passport, but to my 4TB network drive, exactly where she told me it should not be saved. So at 7:15pm when Melissa #2 called back, I told her what had happened and that I had initiated another back-up, this time to My Passport, and that because it would take severel hours, I would have to call back in the morning to proceed with the next steps. My computer shut itself down twice while I was working yesterday, losing everything I had been working on. It seems as though there is more going on than just software issues. THAT WAS SIX (6) DAYS AGO AND NOT A WORD SINCE! I am done fighting with these social cretins, will use my iPhone and Mac until they die (which should not take long based on my experience), and will go back to a Windows or Android-based phone and a non-Apple computer when they do ... FOOL ME ONCE, SHAME ON YOU; FOOL ME TWICE ... AIN'T GONNA HAPPEN APPLE! CombatCritic Gives Apple, Inc. 1 Out of 10 Bombs for their poor products, customer service, and judgment ... More Bombs Are Better!